Every third month, for my first two years, all students at (Maharishi International University) MIU went into a specialized course of study called “Forest Academy.” The metaphor referred to the time yogis often spend away from humanity in a cave or deep in a forest. During this time, we stepped back from the society of students and faculty and spent an entire month in reclusion and deep meditation; much as I had done in the SCI course I’d taken at Cobb Mountain in California. Staying on campus and limiting interactions with students not on the course was required. The university imposed controls and supervision on the students to limit the “casualties.” This was understood by the students, and generally speaking, compliance was not a problem. During the time of Forest Academy, I was amazed at how sensitive my reactions became when I inadvertently interacted with someone not on the meditation course. Even after a short conversation, I could feel an increase in heart rate, and a generally unsettled, uncomfortable influence in my body. Maharishi knew what he was doing when he structured the isolation factor into our activity schedule. In each month of Forest Academy, the frequency of meditation extended beyond the normal 20 minutes twice daily, with the intention to delve into silence and stay as quiet as possible throughout the month. As I settled down, like most of the students, I looked forward to accelerating “the purification process,” permitting my body and mind to slow their pace, to unwind and release the backlog of stress I had accumulated in what I considered to have been a very stressful life. In so doing, I was simultaneously enhancing the clarity of transcendence or pure consciousness in my meditations. If I had gone to college just for the academic degree, it might have been to a more traditional university, but long meditation courses were only available at MIU. 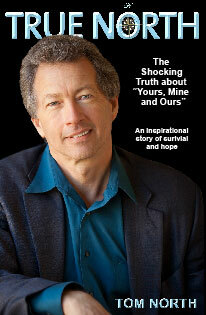 I recognized early on that in a direct, profound, and systematic way, it helped me to heal. As with the SCI course, laughter was one of the wonderful things about these times. The sensitive state of consciousness we were in provided us with access to the bliss that we (and everyone, for that matter) normally covered with layers of personality; it was the laughter of pure delight. But the un-stressing takes whatever form is specific to the individual. In my case, bouts of depression haunted me as the emotional and psychological traumas of earlier life left me. There are many benefits to daily meditation. There were times when I would go on a “walk and talk” with my buddy and I would not just feel, but re-live the horrible depressions that I had experienced in my adolescence and teen years. What got me through the reliving of those depressions was the understanding that these emotional stresses were unwinding themselves, and exiting…. leaving my system for good. That didn’t make them less uncomfortable or easier to experience; but having identified that they were unrelated to any current experience of the moment helped. On a physical level, for example, I had gone through two surgeries on my left knee — one at age six and the other at age 16—to remove ganglion cysts that had occurred and reoccurred. During three consecutive Forest Academies, I experienced excruciating pain in that same knee that was identical to the experience of having those cysts surgically removed. The pain started when I increased the number of meditations, lasted the duration of the course, and stopped when I went back to a normal activity schedule. Following the third Forest, the pain stopped. There was no more pain… ever. Read more about the benefits of daily meditation. Buy the book. 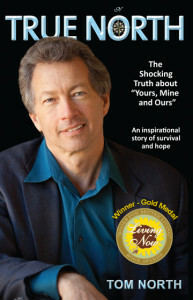 Excerpted from “True North – The Shocking Truth about “Yours, Mine and Ours”" by Tom North. Copyright © 2013 by True North Productions, LLC. Excerpted by permission. All rights reserved. No part of this excerpt may be reproduced or reprinted without permission in writing from the publisher. Excerpts are provided solely for the personal use of visitors to this website.